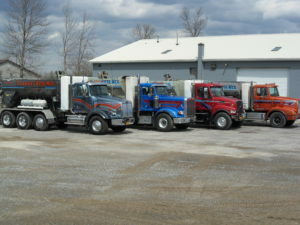 According to Neil Bopp, owner of Transit Redi-Mix in Clarence Center, New York, there are basically two ways to profit in the ready mix business — sell a lot of yards at a low or discounted price or sell a smaller amount of yards at a higher price. With an average sale of four to five yards per pour at $135 to $150 a yard, Neil is delighted that he chose the second approach! He’s doing so by focusing exclusively on mobile concrete production with volumetric mixers. Neil took some time out from his busy concrete mixing/delivery schedule to answer some questions about his unique approach to the ready mix business. Why mobile volumetric mixers instead of conventional barrel trucks? 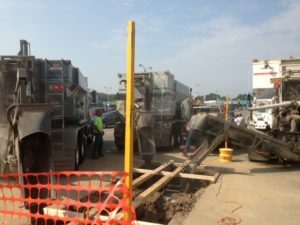 The decision to use mobile concrete mixers was an easy one to make when my father and I added concrete to our excavation business in the early 1980s. We had a relative in the concrete business in Pennsylvania who was sold on mobile concrete production, so we were familiar with the advantages of that business model. 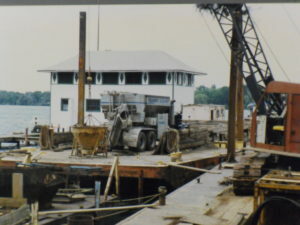 During a 200-mile drive to Binghamton, New York, to look at a dump trailer, we passed a crew using a mobile concrete mixer on a bridge deck project. That further solidified our decision to go with mobile equipment. We started out with a Daffin magnum unit. Are you still running that Daffin? 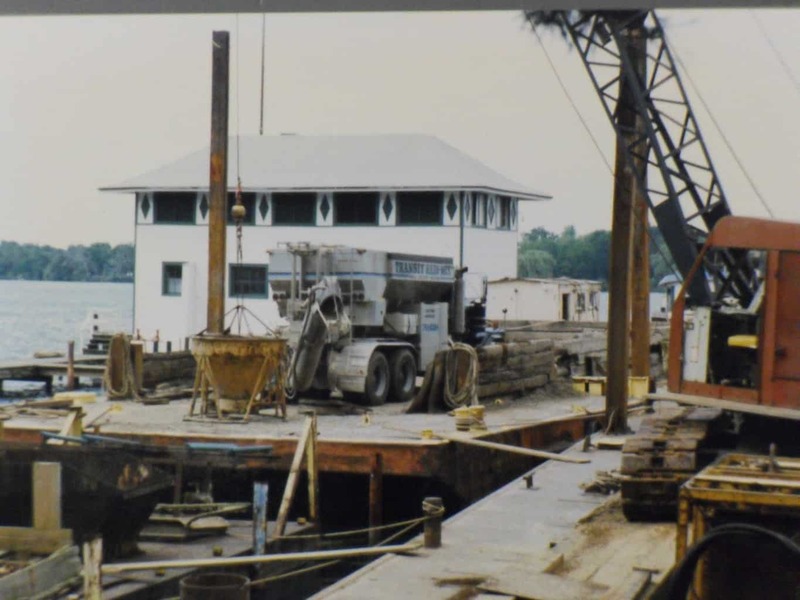 The Daffin was a great way for us to get into the mobile concrete business. 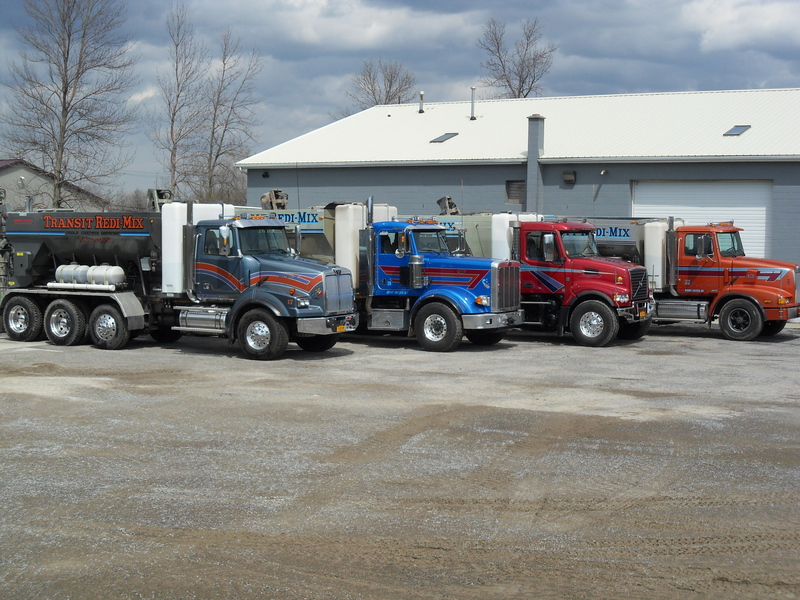 Today, Transit Redi-Mix serves the needs of contractors throughout western New York with five Cemen Tech mobile concrete production mixers. We will enhance our capabilities to do larger loads with the addition of a trailer-mounted Cemen Tech unit this year. Once we get a call to deliver concrete to a site, we fill the compartments of our mobile mixer with sand, cement, water and admixtures. The cement is stored in a closed, watertight bin behind the aggregates. Water is located in front of the aggregates. Admixtures are stored on the side of the truck and are integrated into the system. Upon arrival at the pour site, the operator sets the material “strike-off” gates and locks them to the desired specifications. Next the admixture and water flow rates are set. By engaging the conveyor and mixer hydraulic control levers, concrete production begins. The conveyor control operates a conveyor belt that extends beneath the entire length of the aggregate bins. As the material exits the bin, it passes under the “strike-off” gates. The material then travels to the rear of the mixer and cement is added. The materials then discharge into the continuous mixer where water and admixtures are accurately metered and introduced. The materials simultaneously enter the continuous mixer where they are thoroughly mixed. The concrete mixture is then carried to the discharge chute and into a wheelbarrow. The mix never varies until a new mix design is selected. The real advantage of mobile mixing is that our customers get the mix they need where and when they need it, and we can deliver it without the expense and maintenance of barrel trucks. How have your customers responded to mobile concrete production? advantage in our market area, and there was no better choice than Cemen Tech to help us carve this niche. What’s the big attraction to Cemen Tech? to be the best in the business for us! What about the training curve associated with mobile concrete production? Whether you choose mobile concrete production or traditional barrel trucks, there is always a learning curve associated with making quality concrete. After all, no two pours are quite the same, and it could take a year for someone to be comfortable with the various situations they may face. I will say, however, that Cemen Tech’s training program and associated materials and the ease of operating the equipment help flatten out the learning curve. Is there one word you can use that is the foundation for your success? Loyalty. 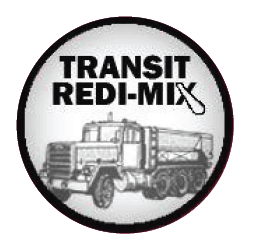 Transit Redi-Mix is loyal to the idea of producing concrete on the job site. We’re loyal to Cemen Tech, a trusted and respected partner who works closely with us to help ensure our success in the mobile concrete production business. As a result, our customers are loyal to us because they know we will be there with the quantity and quality of concrete they need when they need it. What does the future look like for Transit Redi-Mix? This part of the country will probably experience a decline in commercial work in the year ahead. When that happens, traditional ready mix plants will get more competitive with price. We feel we can offer contractors something better than a low price. We offer them the ability to control their concrete with mobile concrete production. Thanks to Cemen Tech, that’s been our niche for the past 35 years and two generations of the Bopp family. I am proud to say that will continue to be the case as we transition to our third generation!